Discuss a Book in a Library of hidden Treasures! You must be a member of the Manchester Creative Group to attend this activity. Would you like to join this group? This actually can be our new Book Club! I adore literature, I spend hours reading and reflecting on different novels, treatises and their authors, plus I do this as part of my day job too in education. 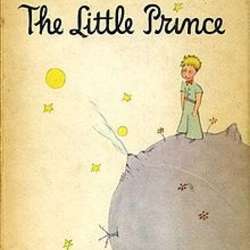 Join us for a chat over a glass of wine or cup of coffee, and optional lunch to discuss The Little Prince by Antoine de St-Exupery. We will visit Protected content to admire not just the architecture but also search through the hidden gems, discreetly displayed on its shelves, including rare historic and religious manuscripts. Then we will go to the Belgian pub Bock to discuss this very famous novella, that has been voted Best Book of the 20th century in France. Please download and read the book in your preferred language. It can be accessed for free on the Web as a PDF. Be ready to discuss your first impression, feelings and thoughts on the many philosophical issues raised in this tender tale of love and loneliness. The tale was written by Antoine de St-Exupery, a French aristocrat, writer and war aviator and first published in Protected content . Bock Pub is situated on Tib Lane, off Cross street. After the visit to the library, we will go there for our chat over drinks and dinner (dinner is optional, the pub serves desserts too). We will pay individually for our drinks and food. Join us to inaugurate our Book Club and discover some of Manchester's hidden treasures!